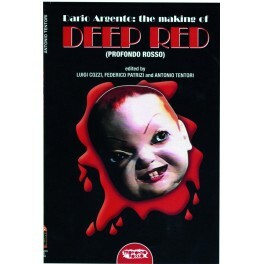 Dario Argento's Deep Red is one of the most famous and admired thrillers ever made. This volume, edited by Luigi Cozzi, analyzes the genesis and the making of Deep Red, featuring pictures, essays and interviews with actors Daria Nicolodi and Gabriel Lavia, scriptwriter Bernardino Zapponi, plus Claudio Simonetti and other members of Goblin, who composed Deep Red’s ex- traordinary music score. The book includes a foreword by critic Fabio Giovannini and an exclusive interview with Dario Argento.